Situated in the middle of Fukuoka City, Japan, ACROS Fukuoka Prefectural International Hall is a center of international, cultural and information exchange and underneath lies over one million square feet of multipurpose space. 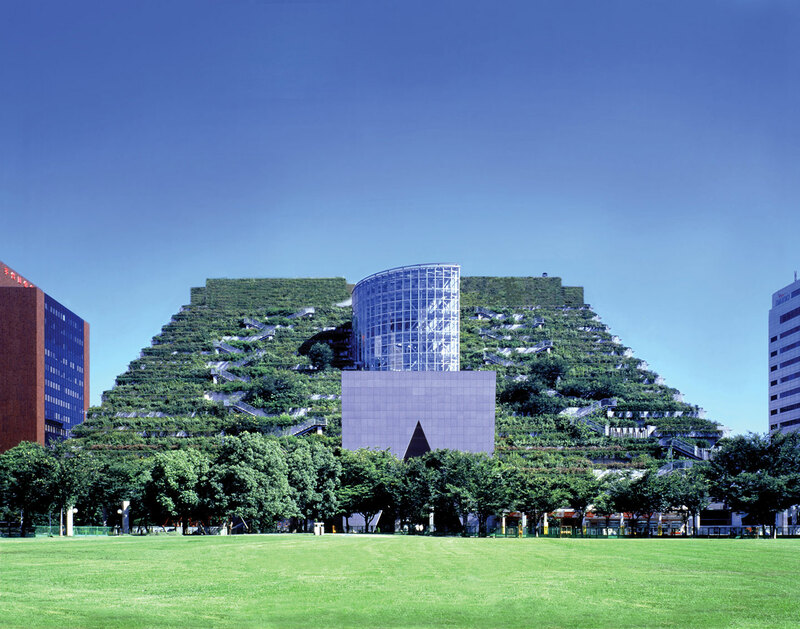 Designed by Emilio Ambasz, a pioneer of ecological architecture, the nearly 100,000-square-meter park in the city center was transposed by the architect onto 15 stepped vegetated terraces of the ACROS or “Asian Crossroads Over the Sea.” The very green design provided a solution for a common urban problem: reconciling a developer’s desire for profitable use of a site with the public’s need for open green space. 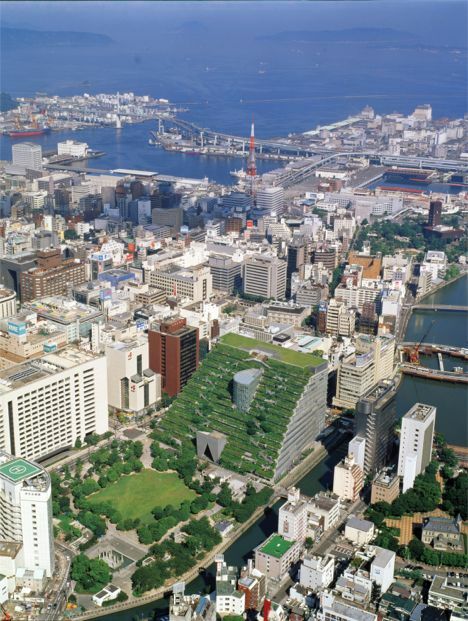 The plan for Fukuoka fulfills both needs in one structure by creating an innovative agro-urban model. Its north face presents an elegant urban facade with a formal entrance appropriate to a building on the most prestigious street in Fukuoka’s financial district. The south side of the Hall extends an existing park through its series of terraced gardens that climb the full height of the building with growing media depths ranging between 12″ and 24″. Along the edge of the park, the building steps up, floor-by-floor, in a stratification of low, landscaped terraces. Each terrace floor contains an array of gardens for meditation, relaxation, and escape from the congestion of the city, while the top terrace becomes a grand belvedere, providing an incomparable view of the bay of Fukuoka and the surrounding mountains. A stepped series of reflecting pools upon the terraces are connected by upwardly spraying jets of water, to create a ladder-like climbing waterfall to mask the ambient noise of the city beyond. 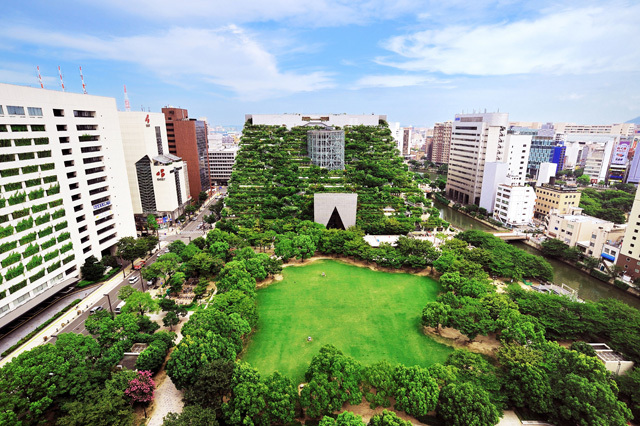 Open to the public, ACROS Fukuoka emerges like a lush green mountain and its green stepped garden exterior has become a new landmark for the city. 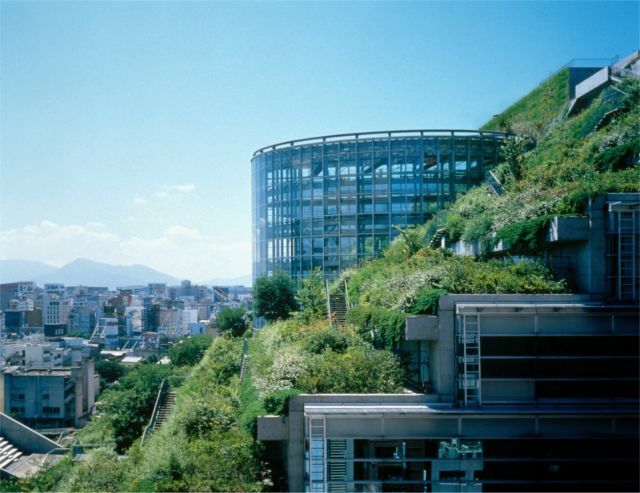 Find more photos and additional information about this project in The International Greenroof & Greenwall Projects Database. Conceptual Design: Emilio Ambasz, Emilio Ambasz and Associates, Inc.
Did we miss your contribution? Please let us know to add you to the profile. Would you like one of your projects to be featured? We have to have a profile first! 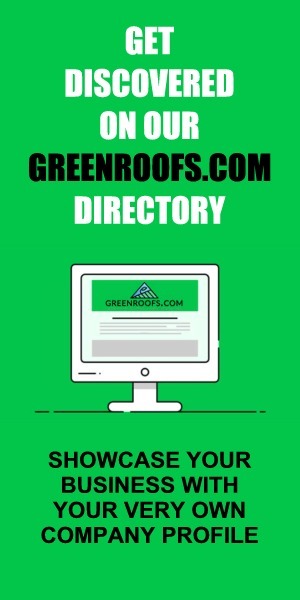 Love the Earth, Plant a Roof (or Wall)! 2 replies to "Video & Project of the Week for November 30, 2015: ACROS Fukuoka Prefectural International Hall"
Amazing project. Can’t imagine the whole city like that. I will add this to my blog as well. Thank you for the informative.